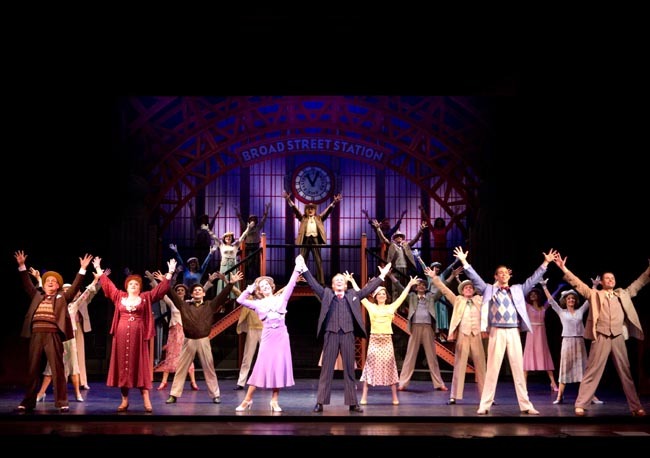 Winner of the 1980 Tony Award for “Best New Musical” and the 2001 Tony Award for “Best Revival of a Musical: 42ND STREET — the timeless, inspiring tale of small town Peggy Sawyer’s rise from chorine to Broadway star. 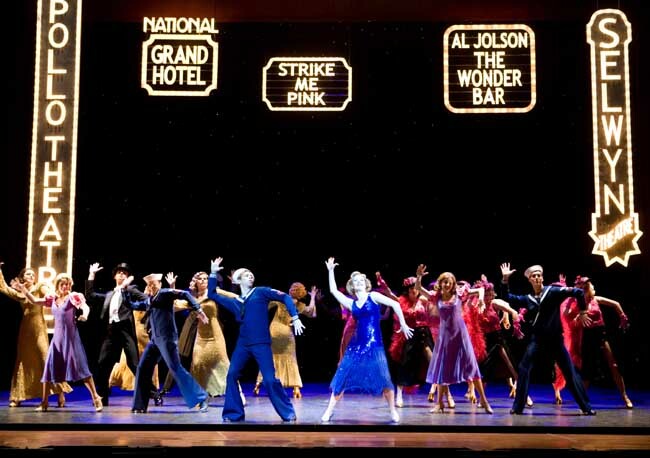 And those songs! 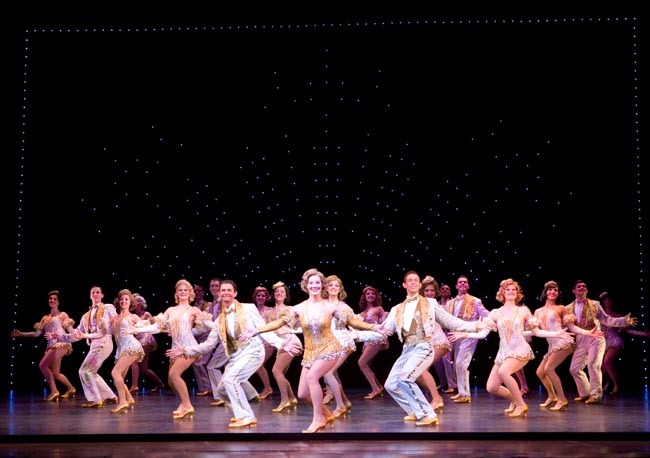 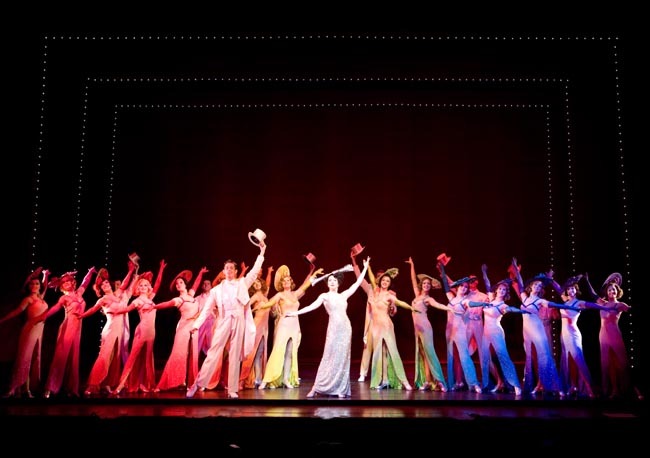 “Lullaby of Broadway”, “We’re in the Money”, “Shuffle Off To Buffalo”, “Keep Young and Beautiful”, “I Only Have Eyes For You” and the spectacular title number, danced down a flight of steps that lights up as brightly as the faces of the cast. 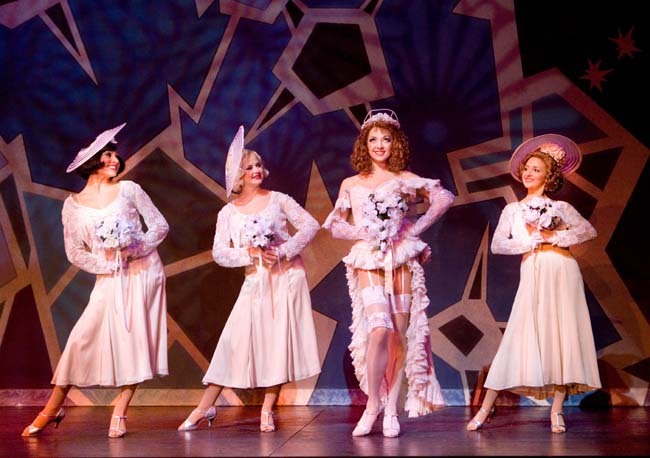 Audiences will find out what it’s like to float up to Musical Comedy Heaven. 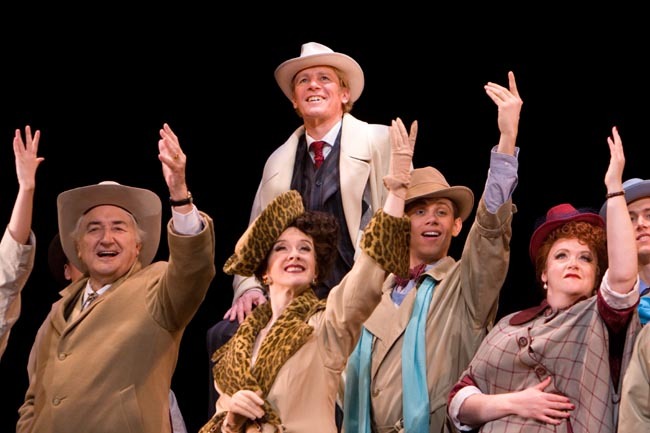 Starring Paul Nicholas* as Julian Marsh, and directed by the show’s author and Broadway Director Mark Bramble. 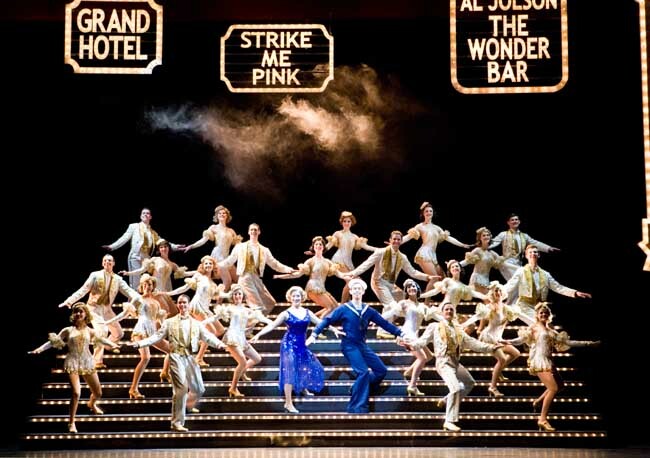 The show features the stunning sets and costumes from the US production.